As marketers, our job boils down to two key elements: telling a great story and reporting data. Often we mix those elements together to discuss the effectiveness of our marketing efforts with our boss/client/co-workers. The challenge is that data is indifferent. It’s just numbers. Without the proper context and in the hands of a gifted story-teller, data can be used to support or refute any position. So at the end of the day, how do you know that your digital marketing efforts have been successful? It starts with choosing the right metrics (often called Key Performance Indicators, or KPI) based on the goal of your marketing campaign. Defining the goal, or desired outcome, of a marketing effort is the first step in choosing the right KPI to track to determine if you’re getting results. We’ll look at three common marketing goals and the metrics that best measure success: Increasing Leads, Building Brand Awareness, and Generating Ecommerce Sales. This is the percentage of visitors to your site that successfully convert (filling out an RFQ/Contact Form or whatever your website uses to generate business) into leads. According to this piece from WordStream, the average conversion rate for a B2B website is 2.23% so that’s a solid benchmark, but the reality is your site could vary wildly. The key here is to understand your historical website performance to give you a true baseline to measure against. One additional note: check your Analytics platform to understand which goals have been setup that count as conversions. Over the years I’ve seen some odd goal setups (time on site > x seconds, or x pages/session) that I wouldn’t consider leads generated. Focus on Goal Conversion Rates for only the goals that truly create leads for your business. Marketing can often be a numbers game. Getting your website in front of more people will (typically) generate more leads. However, there’s a reason I lead with Goal Conversion Rate, as Traffic on its own is not an indicator of improved lead generation. For example, if your baseline for Traffic is 300 visitors/month with a 2% Goal Conversion Rate, you’d average 6 goals per month. If you then increase your traffic to 500/month (a 66% increase!) but your Goal Conversion Rate slips to 1%, you’re now only generating 5 leads per month. Context is key and more Traffic does not necessarily mean more leads. If you are investing in any form of advertising that has an ad spend, you’ll want to know how much you’re paying per lead that is generated. It helps if you have a good understanding of what a lead is worth to you (simple calculation: close rate x average sale price = value of a single lead) so you can determine if the investment is worth the return. If you’re paying $100 per lead and they’re only worth $75, you need to make some changes to your strategy. In order to get in front of a new audience, you’ll likely need to utilize an advertising channel (such as AdWords Facebook Ads). Impressions is a metric that shows how often your ads were shown to your target audience. While it’s not as simple as “more is better”, many ad platforms will give you an idea of how much of your potential audience you’ve reached (called “Impression Share”) which will give you a sense of how well your ads have penetrated the target audience. Keep in mind that with a branding/awareness campaign, your ads will likely be shown to people that are unfamiliar with your company or the products you’re offering. The key here is to set a benchmark, then modify your message to gauge the impact of getting these people to engage with your ads and brand. While this can be an effective indicator, this metric is inherently flawed. If someone visits your site on their desktop, then visits at another time on their mobile phone, Google Analytics would see these as two separate users and mark both as “New”. Similarly if someone clears the cookies from their browser, the next time they visit your site, they will be counted as new. With all that said, as long as you’re using these metrics to mark trends in visitor types, they can be useful in showing how effective your efforts have been at driving new users to the site. If we’re trying to get in front of new markets and people, if we’re able to get them to come to the site, they should be new. The “% New Sessions” metric shows what percentage of visits to the site were from new users. Once you’ve implemented your branding strategy, you’ll want to monitor changes to the “% New Sessions” to gauge if your efforts were successful. As a bonus, if you want even further details within any advertising campaign, you can utilize Google Analytics Campaign Tagging. These are tags that are defined by you and added to links in the various ads you run across your channels. For example, if you are promoting a new product on Facebook, Email, Trade Publication Websites, and Display Ads, it would be useful to house all of that data in one easy-to-access location while still being able to differentiate the effectiveness of each channel. This useful tool allows you to define your campaign’s parameters and will provide you with a unique URL to use for each channel. This way you can group these links under a specific Campaign Name, but define their Campaign Source based on where you are advertising. Then within Google Analtyics’ Campaign reports, you’ll be able to dive into the data specific to those ads. 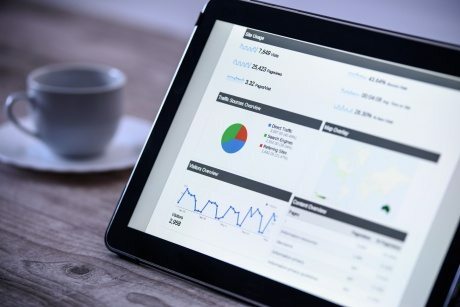 While many of the metrics that were useful for lead generation apply to Ecommerce campaigns, there are few metrics that are specific to online sales that should take precedent. This one is pretty obvious, but the goal of an online store is to generate revenue. You’ll want to monitor your site’s revenue trends to ensure your marketing efforts are leading to more sales. Beyond just total revenue, you should be monitoring your margin on those sales (something that you’ll have to do outside of an Analytics platform like Google Analytics) and compare that to your costs, both internally and with your marketing and advertising efforts. Ecommerce Conversion Rate shows the percent of visits that resulted in an Ecommerce transaction. 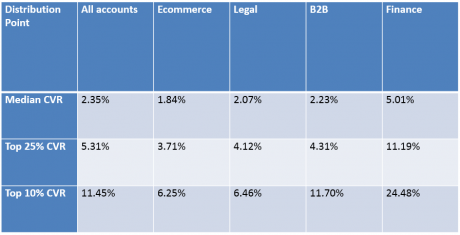 When benchmarking Ecommerce Conversion Rate, it’s important to do so when considering not only your industry, but also device type and referral source. But to provide an overall mark, averages across all industries is about 3% (4.31% for desktop, 1.50% for mobile, and 3.55% on tablet). Your site’s average order value shows the revenue generated by a single on-site purchase on average. While this is usually impacted more by your site than any marketing efforts, it’s still worth keeping an eye on to make sure that your efforts aren’t driving traffic that leads to transactions with a below average order value. Before implementing any campaigns or changes to your site, understand where these three metrics stand today and set goals for what you expect to happen with your efforts. Increasing any one (or more) of these metrics while maintaining the same output from the others will lead to increases in revenue. While there is no shortage of metrics at your fingertips, paying attention to the right ones makes all the difference. Make sure the data you’re looking at truly aligns with the goals of your marketing, then compare that data to your past performance to judge success. At the end of the day, how your site performs may not meet the “industry standards” but that doesn’t mean what you’re doing isn’t working.